Ms. West asked Brooks Brothers to copy their original 70s Herringbone tweed sports coat for Ben Afflick’s character in the film Argo. I always think it’s the second an actor puts the clothes on and stands differently … they’re transplanted. 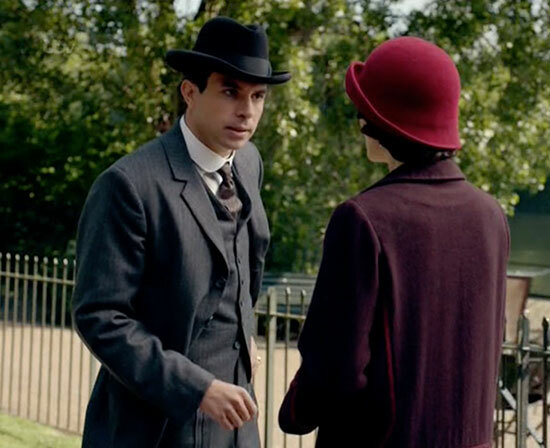 The clothing is the bridge between the actor and the characters. – Jacqueline West, costumer. This quote is from an interview printed in The Costume Designer: The Official Magazine of the Costume Designers Guild. Ms. West started her fashion career as boutique owner in Berkeley, CA from which she designed and sold her own line – Identikit. Her first costuming gig was for Henry & June in 1990. She went on to Rising Sun, Quills, The Curious Case of Benjamin Button for which she earned an Academy Award nomination, and Ben Afflick’s late-70s period film Argo. 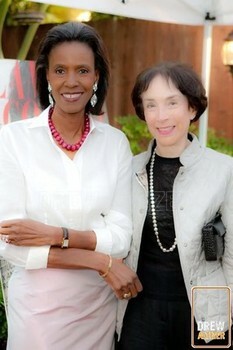 Merla Zellerbach with model Katiti Kironde in October 2009. Photo By Drew Altizer. I was sad to learn that San Francisco socialite and author Merla Zellerbach passed away this last December. I had the pleasure of meeting Merla in 2009 when her publisher contacted me about reviewing her mystery novel – Secrets in Time (Firefall Media, 2008). When I showed up at one of her readings, Merla couldn’t have been more gracious. I was instantly taken with her easy manner as well as her sartorial choices. She sported no logos or ostentatious accessories, just a pair of slacks and a colorful soft sweater with a long strand of pearls. The ensemble was simple and of impeccable quality and she looked lovely. Her hairdo was unfussed and red lipstick brightened her translucent complexion. At that time she must have been in her late 70s and I admired her classic look. I decided that when I reach Merla’s age I will emulate her effortless sense of style. I crossed paths with Merla several times over the next few years. One meeting I recall we talked about signature looks and I commented that hers was the long strand of pearls. A little surprised, she said she had never thought of that. She wasn’t particularly interested in jewelry but often reached for the pearls to complete her outfits. She seemed pleased with the idea. Merla followed my fashion column on Examiner.com and I appreciated the occasional e-mail from her of congratulations or sometimes a comment. She was a columnist herself for the San Francisco Chronicle, having penned the popular My Fair City from 1962 to 1985. I felt honored when she once wrote: Your writing is sharp and creative, and always fun to read. So for that and more, thank you Merla. I think of you every time I slip on my own long strand of pearls. Their fashion is fake. They want only to go with designer names and to have the thing of the moment. 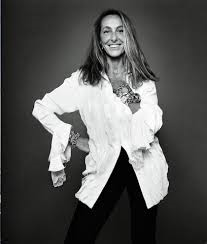 – Carlyne Cerf de Dudzeele, fashion stylist and fashion editor-at-large for Lucky magazine. She was speaking to the New York Times in November 2013. Ms. Cerf de Dudzeele is referring to fashion bloggers, who have ruffled feathers by infiltrating the top four Fashion Weeks in NYC, London, Paris, and Milan. Having never attended any of the top four Fashion Weeks, this particular fashion blogger has no comment. Well, yes I do. I ask what makes a blogger different from anyone else attending Fashion Week? Aren’t they all after designer names and the latest must-have? Be it good or bad, I think the point of Fashion Week is to encourage the trends as well as fashion in general, particularly commercial fashion. Bloggers are just joining the party and I suspect their fashion isn’t any more fake than anyone else strutting their stuff at the shows. New York City Mercedes-Benz Fashion Week continues through this Thursday, February 19th. Fashion illustrator and spy, Brian Stonehouse. 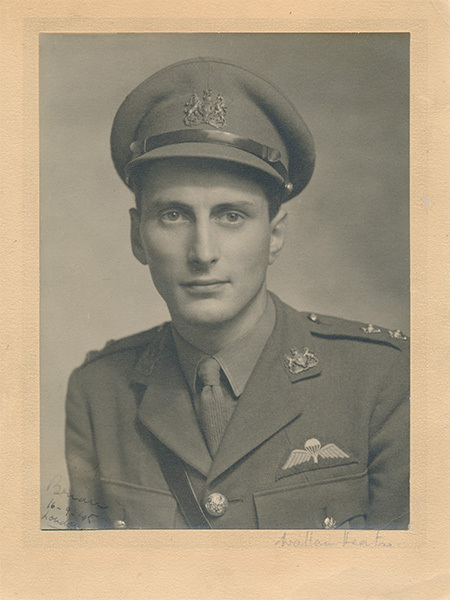 During WW II Mr. Stonehouse was parachuted into occupied France disguised as a French art student (he spoke fluent French and had studied art in Ipswich). He communicated with the British army via a radio placed inside his paint box. But after just three months he was caught and arrested by the Gestapo. For the next two and a half years he was tossed around in prisons and concentration camps ending up in Dachau until the allied liberation in 1945. It is said that his talent and skill as an artist saved his life as he charmed guards with sketches and drawings. After the war he moved to New York City and worked first as a society portraitist and later in fashion illustration, getting a gig with Vogue in 1952. As photography took favor in fashion by the early 60s, Mr. Stonehouse ended his career with Vogue in 1962. He returned to England in 1979 and died in 1998. What a life – stylish intrigue and bravery, too. I’d go see that movie. One of the requisite skills for sitting at a fashion show is being able to roll your eyes, talk to the person behind you, chew mints and say, ‘Yves Saint Laurent did it better years ago,’ all at once. John Duka (1950-1989), former New York Times reporter and style columnist. Get out your mints – New York City Mercedes-Benz Fashion Week starts this Thursday, February 12 and runs through Thursday, February 19.